I've just read through the latest batch of complaints on the forum and thought I'd just remind you all about a few key things. The forum is all about opinions, and we won't always agree. If another poster is annoying you then you can choose to ignore their posts using the "ignore members" option. This is available by clicking where it says "signed in as....." at the top of the forum. You will see an option of "Manage Ignored Users" there. The same goes for guests of other clubs who come on and join in the forum. Although this is a Saints board it doesn't do much harm to have a few opposition fans drop in from time to time, and can help liven things up. By all means berate them and their team but there is no need to resort to making threats of violence. Religious bigotry also won't be tolerated, as per our rules and regulations which are clearly linked at the top of the forum. You don't need me to tell you there is a big focus on online religious bigotry and people even being carpeted in court and getting custodial sentences for posting certain remarks on the internet. We are all collectively responsible for ensuring that the board stays clear of this sort of thing which has absolutely no place in Scottish society let alone football. Leave the religious stuff to the two ugly sisters up the road, we are all better than that and above it so keep it off the board please and if you do see the sort of stuff I am talking about please use the report button. The mod team has suffered a bit in recent months due to technical issues, changes in circumstances, lack of time. Tom, David and NSS all do an admirable job when they are online but it's fair to say I myself have not devoted as much time as I should have done to keeping the place ticking over. That will change now, I will undertake to review the complaints panel every day so if there is anything on the forum which you think is breaking the rules, please use the report button and I or one of the other mods will deal with it. There are hopefully the first green shoots of some exciting things beginning to happen on the park. Off the park we have a lot going on. 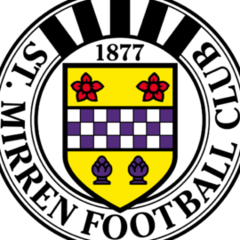 At times like these the forum should be coming into it's own as the best place to discuss all things St.Mirren. This is without doubt the busiest online forum for Saints fans and it will continue to exist for a very long time to come yet but we all have to play our part in making it reflect well on the club. 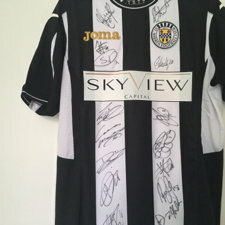 At times recently I am sure some of the stuff on here has been an embarassment to St.Mirren. Please think about the above, get involved with the forum and remember that first and foremost we are ALL St.Mirren supporters. I've been a member for around 18 months and have been visiting the site for a lot longer. I have never posted before and partly that's because I'm not sure I want to be associated with the levels of personal abuse, threats of violence and many comments which contain at least an element of religious bigotry. I think,Div, your post is timely and I hope some of the members take note and take a right good look at themselves. I see that a lot of members have never posted and while I am sure there are many reasons why they don't, I would be surprised if quite a few don't share the same reservations I have. One thing that gets me down is the gratuitous bad language. Now I know that bad language and football go hand in hand and I confess here and now that mine is pretty foul at times. But I don't think four letter words need to be added to written posts. I'm not referring to 'bloody hell' or 'useless bugger' but I think we can do without the two four letter words which can cause most offence. I enjoy the craic (that might give some a clue to where I live, and also explains why I can't get to many matches) and I regularly end up in stitches as many of the posts. But would it detract from anyone's enjoyment to cut back the bad language just a bit? And what is all the C*l*ic and R*n*e*s nonsense? Does anyone think that's funny? And is it absolutely compulsory to hate every team apart from our beloved St.Mirren? If so, count me out. There are some clubs I dislike but there are many I have always liked and admired. And as I have mentioned r*ngers, it certainly looks like they are in real financial diffs. But anyone who thinks Scottish Football wouldn't be impoverished without either of the Old Firm needs to get a reality check. I have always maintained that the paying football fan once he gets in the ground can shout what he pleases but I have also always felt that a fairly high percentage of St.Mirren fans prefer to shout abuse from the first minute. It has always been so. Giving away my age a bit, I remember the abuse Jim Rodger got when he came to Love Street in the 50's. They called him Nancy. But they didn't when he became a fast,strong right winger who could cross the ball when running full pelt. Now there's an art which has all but been lost in modern day football. How many of you out there were at a mid-week match on a miserable cold night when he scored four goals? Some of us need to get off Danny's back. He is still surely on a learning curve. I have some criticisms of my own. For the matches at Inverness and against Hibs last Saturday, the team should have been so pumped up that that they should never have been beaten. I'm not convinced he is a motivator. Last night's result is inexcusable, both in the let-down to the fans and the resulting financial loss. But give Danny a lot more time. I think he deserves at least that. We're all St.Mirren fans. We have all had to live with the agony that goes with the territory. Keep the faith. I genuinely believe that I got more pleasure from our two Scottish Cup wins that I saw and our promotion winning games, than many Old Firm fans got from years of more or less continuous success. And please keep the posts coming. I'm a bit of an exile and I'm not the only one. The Virtual West Bank gives me so much pleasure. I've never seen religious bigotry posted on on b+w army and comments about religious affiliation are merely in response to the bigots from Glasgow and their blight on the beautiful game in Scotland. It's only a game etc, discussion should all be about football and most Buddies would be happy if that were so. I honestly feel your argument/comments on those grounds should be directed elsewhere. Although I happily admit that if people ask religious-related questions in General Nonsense then I'm more than happy to affirm my secular stance and respond from my aetheist point of view. "How many of you out there were at a mid-week match on a miserable cold night when he scored four goals?" Worth the effort. It will make your lurking experience so less stressful. A quick look at the thread on catholic schools from a couple of months ago will alter your thinking. Cannae recall that... Might have been away working. Was that the one about subsidised busses? And subsidised separate education..? Thus related to the ongoing division in scottish society that propagates separation and perpetuates the hideous Old Firm? ...there's an offensively redundant apostrophe in the thread title. There are some clubs I dislike but there are many I have always liked and admired. And as I have mentioned r*ngers, it certainly looks like they are in real financial diffs. But anyone who thinks Scottish Football wouldn't be impoverished without either of the Old Firm needs to get a reality check. Bad language you are after is it? I won´t take the bait. Can´t say I have noticed any religious bigotry on here, plenty of anti Old Firm stuff but that has nothing to do with religion. I don´t live in Scotland any more but I think people there are starting to get a bit precious about this, and well, pretty much everything these days. I´m glad the forum will be monitored a bit more strictly though. The usual suspects were ruining it again. Thanks for the warm welcome in response to my first ever post. Bluto, I reiterate what I said that any fan who goes to a match is entitled to shout whatever he pleases. I just wish that during matches they would get 100% behind the team. One of my closest pals still goes to every match and he's on the players' backs from the first minute unless we cruise the game. And you know how often that happens. Boo them at the end of the match or bleat about them in this forum but shout them on even when it's not going well. I didn't intend to proscribe anything. Free speech and all that. I see Marrez posted today saying that some fans were shameful last night. It was always the way at Love Street. I don't suppose it will ever change. Incidentally, your advice about the forum is helpful. Bear with us virgins until we find our feet. If you were at Cathkin for the 8-0 game then you must be from roughly the same era as me. Tommy Bryceland told me years later that every Third Lanark player backed Saints that night. Hard to believe but he was convinced it was true. Shull, I have been reading you posts for years and I don't mind admitting you are one of the guys who can usually give me a laugh. But it's never very difficult to to guess how you are going to react. Mr.Consistency. I didn't know the asterisks came up automatically until I did my post. I should have guessed, I suppose. I'm afraid I still think it's a bit childish but I can live with it. I didn't think for a minute that you would shed many tears if r*ngers go down the plug-hole. 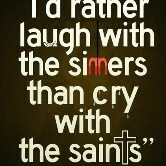 You will be singing from the same hymn sheet as a lot of c*ltic fans, but not all of them. A lot of them recognise that Scottish football would be considerably poorer without either one of them. And no,Shull,I'm not from Lochwinnoch. I'm a buddy through and through although I now live in Bangor in Co.Down. The only thing I can remember liking about Lochwinnoch was Struthers' scoosh! Bluto, forgot to mention that I have been at stacks of Saints v Old Firm games. Over the last five years or so I have been at I think 5 games v r*ngers. Haven't actually been at a c*ltic match. It costs me an absolute mimimum of about £100 to go to a match and that's assuming I can cadge a bed for the night somewhere. And that don't include my food and beer. I never said anything about not hating old firm fans. I just don't see why it has to mean that anyone has to hate r*ngers or c*ltic so much that they wish they didn't exist. I may well not post again but I will continue to enjoy reading all that is posted. If you were at Cathkin for the 8-0 game then you must be from roughly the same era as me. Tommy Bryceland told me years later that every Third Lanark player backed Saints that night. Hard to believe but he was convinced it was true. Those two institutions that you seem to wish to see continue are responsible for those (in the main) malodorous, malevolent fans and their continued accompanying violence and intolerance. The clubs profit mightily from it and despite lip service have done little/nothing to ameliorate the situation. You're of an age when you'll recall that Shellic fans were not so bad and when ALL of Scotland (but not r*ngers fans) supported Jock Stein's team in 1967. The hyping of both sides of the bigot coin has grown since then and has made (tainted) money. The skewed distribution of income from the Scotiish game grossly favouring those two, means it is non-competitive. Those two reasons alone are sufficient for me to believe that the world would be a happier, better place if they were to go out of business. Don't you fancy a competitive non-bigotted football league whose passions were all about.. er.... FOOTBALL? Rick, if you can prove via DNA that yir not the 'mortally offended one ' from Lochwinnoch, then.. Welcome tae the Forum ! Yir no Kendo ur ye ? Rick, if you can prove via DNA that yir not 'mortally offended one ' from Lochwinnoch, then.. I can see Rick has touched a nerve. In a way, that kind of statement sums up some of the nonsense on here. I'd like to remind everyone of the forum rules after some recent personal abuse and threats. If there is a post you think is inappropriate, use the report button and action will be taken. Please do not reply with abuse and threats. There will always be inappropriate posts made that the moderators fail to pick up on, believe it or not we don't get the chance to read every post made on the forum. We need the members to report these posts, when this happens we receive an instant email with a link to the post. If you do not agree with a post. please do not reply with abuse or threats. Please use the report button. Following on from this, i'd just to like to say that I was out of order in the comments I made about Div and the mods last night and fully apologise. But the bottom line is, if there are so many idiots hell bent on winding people up then there is little point in there being a forum. Always sorry to see fellow buddies lose the plot in the forum. I've never understood how people can get so worked up about wind up merchants, personally I just skim past any of the nonsense posters or I put them on ignore which is why that feature is there. Anyway, your wish has been granted, account has been disabled. On the subject of the forum dying it's actually not, visitors are up 50% on this time last year. We're coming up to our tenth anniversary of this particular forum this summer ! I'm always sorry to see forum posters go too especially when they cite me as the reason. My reason for posting on this thread is to simply to make the point that at no point did I complain about the threats being made last night, or about any abuse that was directed at me and at no point have I actually felt threatened either. I have to say though I can never understand why - if I really do get under people's skin - why they feel the need to read my posts. It seems like a really silly thing to do. Thanks Div, and yer Mods. Since setting up house with wee Herbie and being bullied into "following" St Mirren, i've become a bit of a regular on here. Got to say i love it, love being part of it and love the nonsense that comes with it, even if i have been guilty of letting the forum wind up merchant get under my skin, on the odd occasion. you know who you are. anyways, keep up the good work, its much appreciated, by this Jag. For once,I have to agree with you on the underlined. Perhaps you could also bring in a feature that means ignored posts are not seen when someone quotes them. I've had a few users on ignore at various points but it is pointless when others quote them. The first part of a quoted post is the quoted poster's alias. See above ya numpty. Once you see the poster you cannae handles alias don't read it. Sorry to see Spirit of 77 has gone. I'm sure he'll be back as a new alias in no time at all. Ah! So you are "ScottD" and now you're me?! I have liked the forum since day one and have met some great Buddies, through this very forum . On the whole , the forum has a fantastic bunch of members some of whom , have been following the club longer than my current lifetime, which is a superb achievement considering some of grim times the club has been through in those years. I've also been able to get re-aquainted with old pals and relatives too. . It has sometimes surprised me to meet Love Street regulars through work , whom , very rarely look at the site if at all .I think, it is a great way to keep up with what is happening at our beloved Paisley Saint Mirren. .
Having used other internet forums , I think the moderation on here is by far of great balance. .
As far as the redundant apostrohe is concerned , yeh , I did notice that too. .